His Imperial Majesty, Oonirisa Adeyeye Enitan Ogunwusi Ojaja II, The Ooni of Ife, has partnered with Empower 54, a non-profit organization, to create awareness and promote solutions to end malnutrition in Africa, which currently kills 2.3 million children annually in Nigeria. Empower 54 Project Inc (Empower 54) is a US non-profit organization providing humanitarian assistance since 2003 through health, education, empowerment, and IDP/refugee programs to underprivileged Africans. According to the Founder and President of Empower 54, Princess Modupe Ozolua, Nigeria’s Minister of Health has declared that “one-third, 33% of Nigerian Children under 5 years old suffer from chronic malnutrition” which translates into very disturbing statistics and many innocent lives lost due to lack of sensitization on early management of malnutrition and accessibility to free treatment. Due to His Imperial Majesty’s dedication to humanity, it’s with great honor that he has agreed to lend his voice and passion to the campaign to eradicate malnutrition in Africa, starting in the countries Princess Ozolua further states: “Empower 54 currently work in; Nigeria and the Democratic Republic of Congo. Empower 54 will be working closely with His Majesty’s organization, Global Outreach (Ooni of Ife Global Outreach) Initiative, on strategies for his role as Empower 54’s International goodwill Ambassador to end malnutrition in Africa. 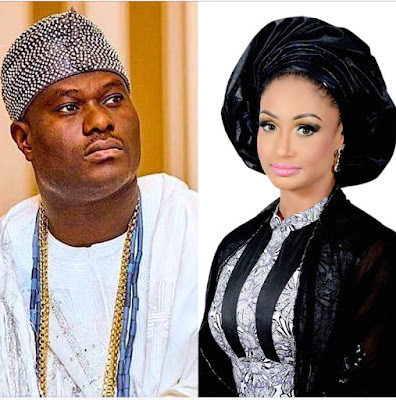 As a global goodwill ambassador for Empower 54, The Ooni of Ife joins His Emeritus Archbishop Desmond Tutu (Patron of Empower 54) and Hollywood actress, Kat Graham (Empower 54’s goodwill ambassador for IDPs/Refugees) to work towards impacting lives of underprivileged Africans.